Just because you may live in a dry or desert type environment doesn’t mean you have to deal with a lifeless garden. There are many beautiful and vivid flowers and drought tolerant plants to choose from that actually thrive during periods without water. If you are looking to add life and color to your home, consider some of these amazing plants. You won’t regret it! Sage is an excellent choice if you are looking to cut through the vivid colors going on in the rest of your garden. It adds a bit of buffer but keeps things visually interesting due to its unique texture. These brightly colored flowers will give your backyard a spicy vanilla aroma that you’ll absolutely love. Wallflowers are old fashioned bedding plants and prefer to have well drained soil. In return, they’ll give you months of blooms. These low ground flowers are perfect if you like having butterflies in your yard. Succulents are definitely pretty versatile in where you can keep them. If you want something you can bring inside your home, definitely consider these adorable little plants. Have pests around? No problem. 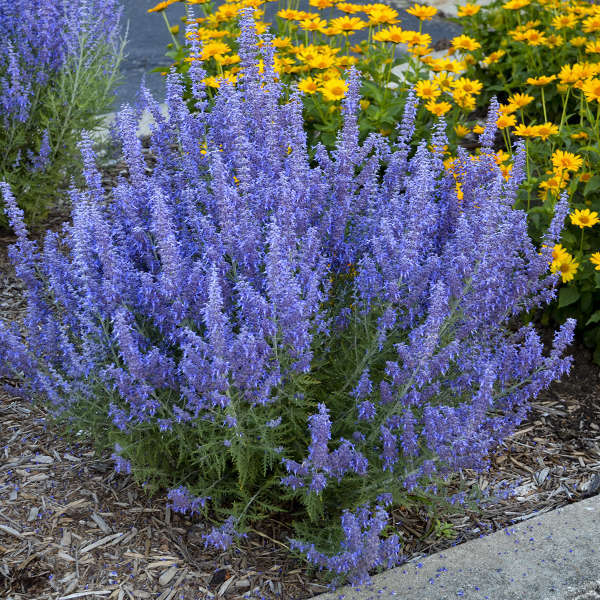 The Russian Sage is very resistant to the elements from pests to sun and low water environments. If you live in an area with persistent summer heat, the verbena will pull through for you every single year. Orange, purple, red, white or yellow – you’ve got all the choices in the world for this plant. If you wanted to keep the variations of plants to a minimum, you’ll have an easy time caring for your garden with this plant. If you are looking for a shrub type plants, consider this, but ONLY if you don’t have pets or children! Every part of this plant is TOXIC. You can expect adorable blooms from your agave plant in the fall and summer. If you’re just as obsessed with the aroma of lavender as I am, you’re going to jump for joy to learn they survive without a lot of water! I’m sure you saw this one coming, but there are plenty of gorgeous cacti to choose from, assuming you don’t have pets or children. These unique flowers have the potential to add a very classy and vibrant vibe to your garden. Please let me know where seeds, or plants can be bought. I especially want the wallflower, portulace, russian sage, verbenia, gaillardia, rose champion and lavender seeds.